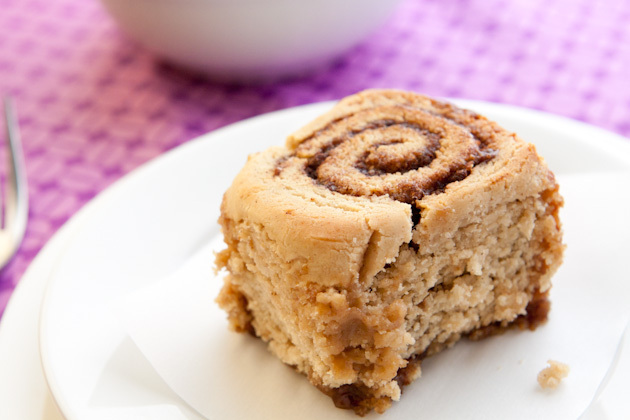 Melt in your mouth gluten-free cinnamon buns. Serve for Mother’s Day with a side of fresh fruit and a pot of rooibos tea. 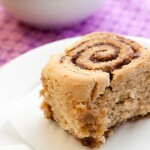 For step by step photos on how to make cinnamon buns, check out this post. Prepare gooey bottom ingredients in a small pan but do not heat. Set aside. In a microwave-safe dish, combine non-dairy milk and extra virgin coconut oil. Microwave for 1 to 1.5 minutes, until the oil is melted. If you do not want to use a microwave, place in a small saucepan and heat on low for 45 seconds, just until oil is heated. You do not want this mixture too hot, about 115F and no higher. Add egg, vinegar, apple sauce, water and vanilla to the milk and oil mixture. Once combined, add to the dry ingredients. Mix until fully incorporated, then place in the bowl of your food processor or stand mixer and mix with dough blade for 3 minutes. If sticky, add a bit more tapioca starch. In total, I usually add 1-2 tablespoons of starch during the process. Meanwhile, heat gooey bottom ingredients in the small saucepan until oil is melted. Remove from heat and pour into the bottom of a greased 8×8 baking pan. Lay out a large piece of plastic wrap on a clean counter. You’ll want the plastic wrap to be about 8?x 16?. Lay the ball of dough on top of the prepared plastic wrap and cover with a second piece of the same size. Use tapioca starch for extra dusting as needed. Using a long piece of thread, cut the cylinder into approximately 1.5? wide rolls by sliding the thread underneath the roll, lifting it over the top so that both ends of the thread meet, crossing them past one another and pinching the dough with it. Repeat so that you have 12 rolls when all is said and done. Bake in preheated 350F oven for 20-25 minutes, or until golden. Mine were perfect at the 22 minute mark.